There have been cases when people buy a bike insurance and declare the incorrect IDV or the insured declare value of their two wheeler. This is done intentionally by the consumers primarily for the reason of reducing the amount of premium. But they must understand that declaring a lower value of IDV may backfire in future and they may regret it. Let us discuss here, why to set the right IDV in Bike insurance. Before moving on, it is must to understand what exactly IDV is. IDV is the maximum amount which is provided to you if you claimed for a stolen bike or in case of a total loss of bike. In other words, IDV is the current market value of the bike. If you happen to file a claim for the total loss of your two wheeler, IDV is the sum that your insurance provider will pay you. You can set your bike’s IDV with in a permissible slab. This is pre-defined by the insurance company. However, picking the lowest amount on the slab as your IDV, may not always help. Why setting correct IDV is important? Now that we know, IDV is the amount that you can expect the bike insurance company to provide you at the time of claim of a stolen bike or a total lost bike, it is highly recommended to get IDV which is nearest to the cost of its market value. This is because if you happen to lose your bike, and you have declared a lesser IDV, you will not be able to get the entire amount your two wheeler is priced at by the insurance providers. This way you will suffer a major financial loss. Hence you can see that it is not a wise decision to falsely declare a lower IDV only to save some of your premium amount. While there are other clients who declare a higher IDV and not the right IDV, thinking that it will increase their claim amount, which is also a wrong practice because at the time of the claim the bike insurance company will consider the age of vehicle and hence the deprecation amount. Thus, the client will receive a lesser claim amount in spite of paying a higher premium. NCB Benefit: NCB or no claim bonus can significantly reduce your premium amount. This benefit is given to those people who have not claimed anything from the insurance company in the past year. This way you are liable to get a bonus or a discount from the company for not demanding any claim previously, and hence lowering your premium amount. Anti-Theft Devices: If you have fitted an Anti-Theft device in your two wheeler, this means that the chances of theft has reduced to minimal, hence your premium amount will be quite low. An ARAI approved anti-theft device may fetch you an additional discount of more than 2%. Voluntary Excess: This is one easy way of lowering down the amount of insurance premium of your two wheeler. 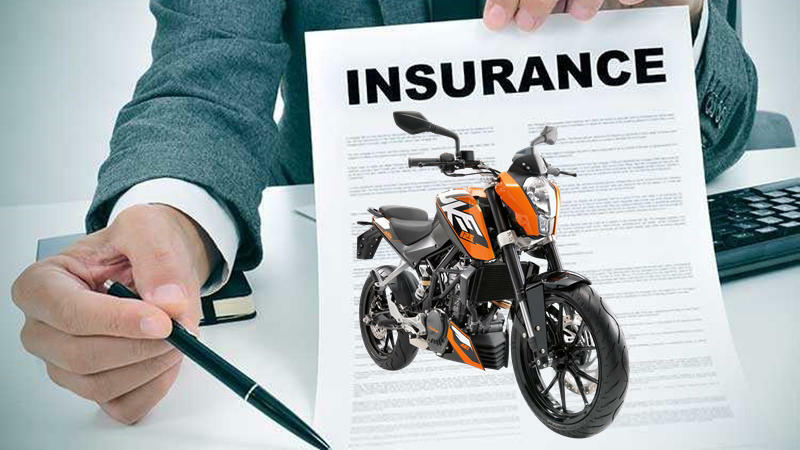 You will be paying a lesser premium if you voluntarily declare to the bike insurance company that you would be able to bear the expenses of a certain amount of money at the time of claim. Hence, resort to these ways instead of lower IDV to reduce your premium,because setting the incorrect IDV can lead to substantial loss in case of a claim.